These glasses would be perfect! Available in One Size that fits most adults and teens. Includes a pair of plastic glasses where the lenses are star shaped. Image for reference only, bundles and options can vary. 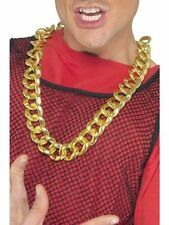 GREAT FANCY DRESS ACCESSORY.PERFECT FOR THAT 80s FANCY DRESS PARTY OR HEN DO! CONTAINS - 4 SETS OF BEADS. SIZE APPROX 45cm EACH APPROX WHEN LOOPED (IF CUT AND OPENED OUT WOULD BE 90CM). 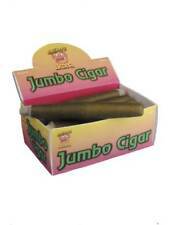 JUMBO CIGAR 12 PACK FANCY DRESS COSTUME SMOKE GANGSTER MEXICAN FAKE CIGARETTE. 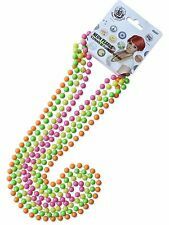 4 x Neon Bead Necklace 80s Hen Night Disco Fancy Dress. ***SALE*** 70's Fancy Dress Accessories # Diamonte Dollar Necklace. Inflatable Guitar, Assorted Colours, 99cm. You may use the model cancellation form at the end of these instructions, but it is not obligatory. Image Gallery. B Model Cancellation Form. Credit Cards are also accepted by phone. 60s, 70s and 80s. Perfect 80s Fancy Dress Accessory. 80's Neon Beads 4pc Set. 4 Piece Beaded Necklace Set. We will always strive to solve any issues you may have. Film and TV. 4 Individual Strings Orange, Yellow, Green, Pink. Great for your next party. Stand out from the crowd. 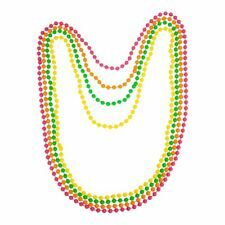 This set of fluorescent pearl's necklaces are composed of 4 collars: one pink, one green, one yellow and one orange. Includes :- High Quality Chunky Gold Necklace. Beads Fluorescent, 4 Strands. You may use the model cancellation form at the end of these instructions, but it is not obligatory. Image Gallery. B Model Cancellation Form. Giant Seventies Rock Specs Assorted. 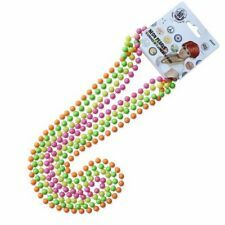 NEW - SMIFFYS 80'S NEON PEARLS 4 STRINGS OF FLUORESCENT BEADS. IDEAL FOR PARTIES, HEN PARTIES, DRESSING UP, FANCY DRESS. MPN Inflatable Guitar. Inflatable Guitar. 1 x Inflatable Guitar. Xena Warrior. Various Colours / 99cm Long. CHILD JET BLACK VAMPIRE BAT WINGS BOYS GIRLS HALLOWEEN WINGED ANIMAL FANCY DRESS xanwill2012(773). 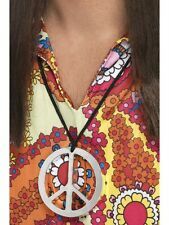 Hippie Kit With Headband Specs And Jewellery. SUPERSTAR SHADES FANCY DRESS OUTFIT STAR SHAPED SUNGLASSES 70's DISCO DUDE DIVA.